Since 2004, a charitable foundation known as Movember has been encouraging men (“Mo Bros”) to get involved in their health issues, mostly focusing on prostate cancer, male cancer as well as mental health. During the course of the month of November, Mo Bros are encouraged to “change the face of men’s health” by growing a moustache. It engages men in the concept of raising awareness of their own health issues and serves as a creative and innovative way to raise funds for research, education and continuing awareness. For the longest time, I kept thinking that Movember initiatives are usually fr men to grow their facial hair and pledge for donations. Being a little slow, I didn't really catch on the movement until now and learning how I can also contribute in the cause. And, you can too!! Women who support the Movember movement by offering their solidarity to the men in their lives who are growing a moustache during the month of November. Whether they are our fathers, our boyfriends, our husbands, our bosses, our colleagues, our fellow students or our brothers, Mo Sistas are surrounded by men. Putting on a moustache to support the men in our lives! This year, Annabelle wants you to take part in raising awareness for their counterpart, with a very feminine twist in doing so! Annabelle is inviting all their Mo Sistas fans and cosmetic users to dress the part: put on a moustache this November for Movember! Using your favorite Annabelle lipliner, lipstick, lipgloss or even eye pencil, draw a moustache above your upper lip and snap a picture. Upload the picture on your own Pinterest board. For your participation to translate into a donation, you must use the hashtag #AnnabelleMovember in the Pin description and tell us which Annabelle product was used to draw your moustache. 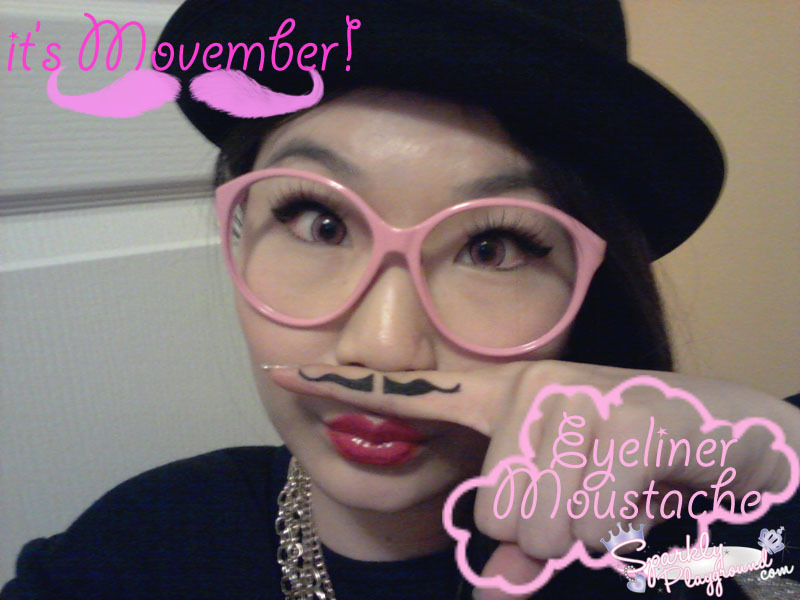 Annabelle will repin your picture onto her own Annabelle Pinterest “#AnnabelleMovember Mo Sistas2012” board and donate one dollar ($1) for every valid picture. Notes: Between November 1st and November 30, 2012, Annabelle will donate one dollar ($1) to the Movember Foundation for every valid picture repined on the Pinterest “Mo Sistas for Movember 2012” board, for a maximum of 2000 uploaded photos ($2000). Each picture must be of a face with a drawn moustache above the upper lip with the hashtag #AnnabelleMovember in the Pin description as well as the Annabelle product name used to draw said moustache. 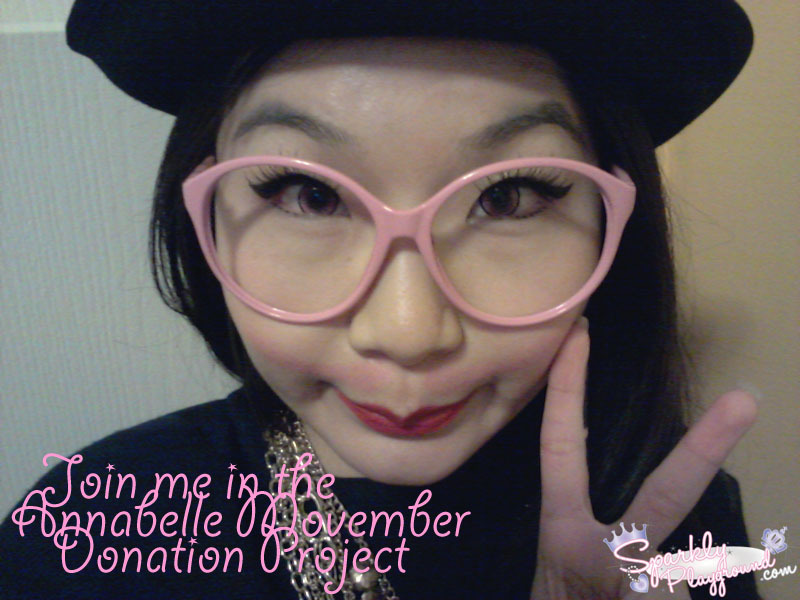 This is my picture for the Annabelle Movember Donation Project! I look forward to see yours! 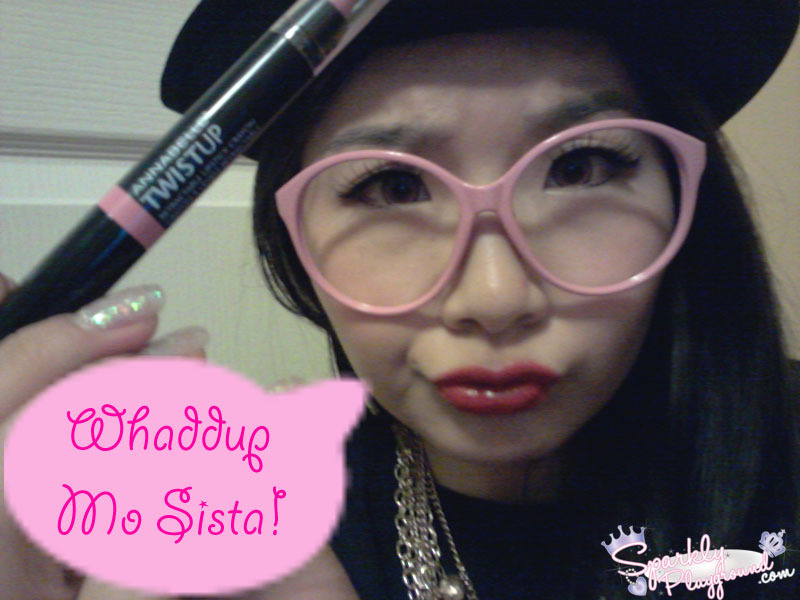 For all the Twist Up Collection Swatches go here.